Every year, we (Young People Against Alzheimer’s – YPAA) look forward to this moment and to this announcement, sometimes with knots in our stomachs. Will we reach our goal? Will we be able to make a difference? After an exceptionally successful two years, raising $21,000 in our first year and $35,000 in our second year, we gave ourselves the lofty goal of $45,000 in our third year so that our overall three-year total would be $100,000. We asked ourselves if we could do it. Well, not only have you helped us achieve our goal but you have helped us exceed it. By $20,000. 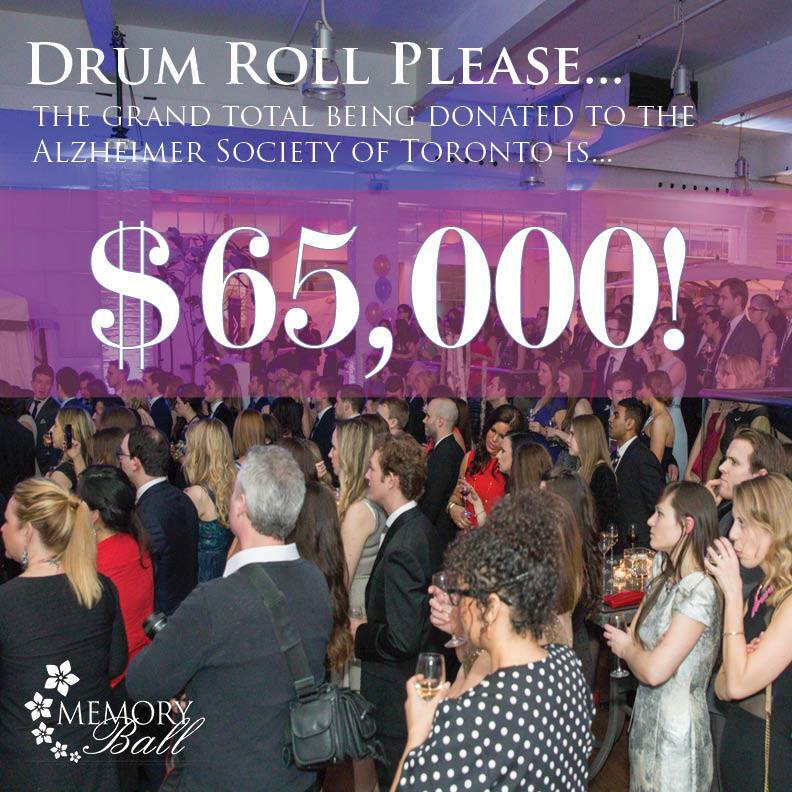 That’s right, we’ve raised SIXTY-FIVE-THOUSAND dollars for the Alzheimer Society of Toronto (AST) and we couldn’t be more grateful and humbled by that number or excited at the possibilities of what those funds will do for individuals with Alzheimer’s disease and their families. This means that within three years, we’ve raised over $120,000 for Alzheimer’s programs, research and overall funding. From the bottom of our hearts, thank you for your generosity and support. Together, we will eradicate Alzheimer’s disease in our lifetime.